ZapThink just produced a good report on the state of Web 2.0 tools entitled "Evolution of the Rich Internet Applcation Market." 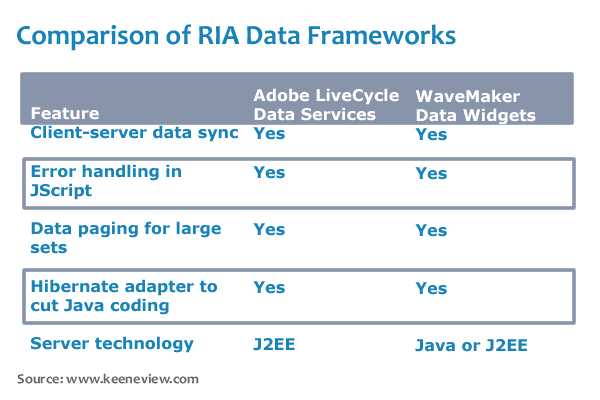 "Adobe stands alone as the only vendor who offers a commercial, RIA-specific data access product." 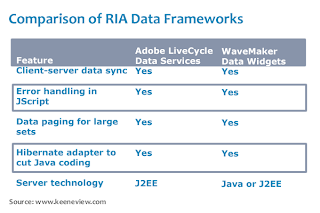 The Zapthink report concludes by saying that the most attractive market opportunity is not for stand-alone RIA libraries but for full RIA development enviroments like Adobe LiveCycle, Microsoft Silverlight and WaveMaker.